Thank you to Skindinavia for providing the information and the product for the giveaway. As always, all opinions are my own. The secret to flawless makeup is a great primer. I was using a powder primer or a thick cream primer with decent results. 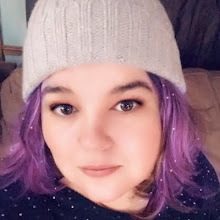 When Skindinavia asked me to try their spray primer, I was really intrigued. I wasn't sure a spray could give me the same results, but I was pleasantly surprised! With just a couple of sprays, I got full coverage and a great base for my makeup. Skindinavia Makeup Primer Spray is easy to use; just wash and moisturize your face as usual. Just before you apply your foundation, spray the product on your face two to four times. It's lightweight formula completely covers your face and helps reduce the appearance of large pores and gives you an even-toned complexion. It's made without silicone and is cruelty free. The spray helps prevent makeup from settling in fine lines and pores. It also helps keep your makeup look flawless for up to 16 hours. It works so well that both Lady Gaga and Fergie use this formula while they are on tour! 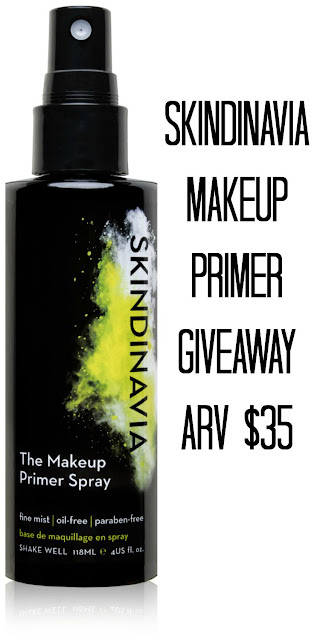 One of my lucky readers will win their own 4 ounce makeup primer spray (ARV $35)! Good luck! Open to those 18 and older with US addresses.